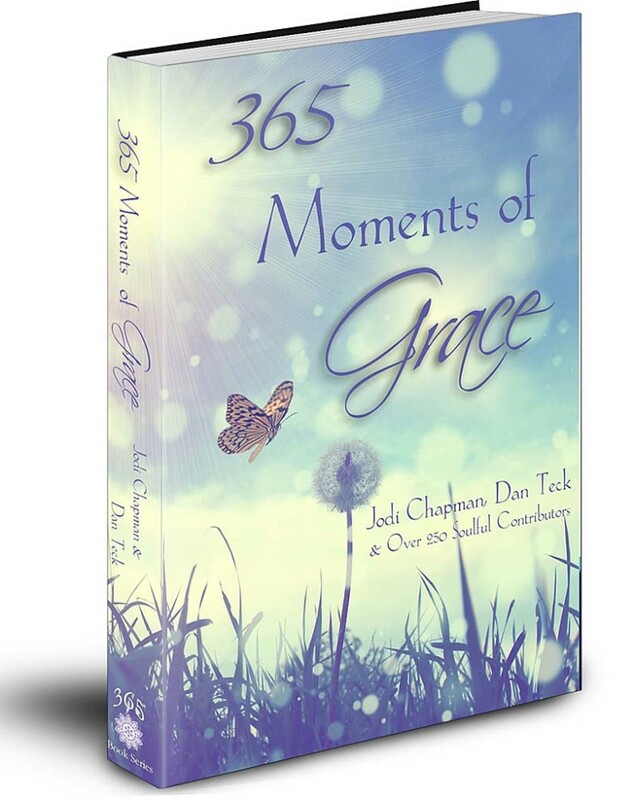 I am so thrilled that we meet on this page today as part of the 365 Moments of Grace Book Tour. I’ve decided to share a bit more about me and my desire to collaborate to change lives and to leave people feeling beautifully alive. Thank you Jodi Chapman and Dan Teck for attracting such an amazing community of connected souls. I grew up in the country outside of Ottawa, Canada, on a dusty gravel road that was only recently paved. At night I could see the green glow of the city in the distance behind the forest at the far end of the property. There was a big world out there and I always felt the pull to share my words, my art…and my heart with the world at large. The power of collaboration really does change lives and I am so happy that 365 Moments of Grace is part of that dream to travel the world! Growing up, I followed the rhythm of the seasons and grew to appreciate the growth cycles in close contact with the land. Living on the outskirts of those small rural towns, I never quiet felt like I belonged to one particular community so many of my classmates were part of. Early on I felt like I belonged to the entire world. The dirt under my barefeet firmly connecting me to the energy of it all. The freedom of sitting on a branch way up high in a tree, feeling the breath of the world dance on my face was nothing short of intoxicating. It connected me to every living thing and gave my imagination wings and often inspires what shows up on the canvas today. My passion for the world led me to write to 20 some Penpals from around the world throughout high school. I loved seeing those beautiful red, blue and white airmail envelops show up in my mailbox. I could sense an invisible thread leading back to different countries across oceans and continents. My writing travelling the globe, reaching the hands and hearts of other kids ‘just like me’ curious about another leaf on another branch on the tree of life. I loved reading their stories and the connection it fostered. Never was it about religion, the colour of our skin, or our countries like or dislike of each other. It was about our lives, what we loved, where we lived and how we were making a difference in someone else’s life. We felt like we mattered. That was my sense of belonging to the world. This book is a web of love hugging the planet and building relationships. It’s also sharing stories that make us fall in love with each other, with ourselves and with our own stories. It’s about curiosity and keeping our hearts open and it’s about something much bigger than ourselves. It about releasing the love in our hearts because we matter. In doing so, we not only elevate ourselves but everyone we touch with our hands, with our words, and with the energy we bring wherever we go. I’m still as curious about the world as I was about my penpals in high school. That same curiosity and love fuels my art and how I make sense of this journey called Life. 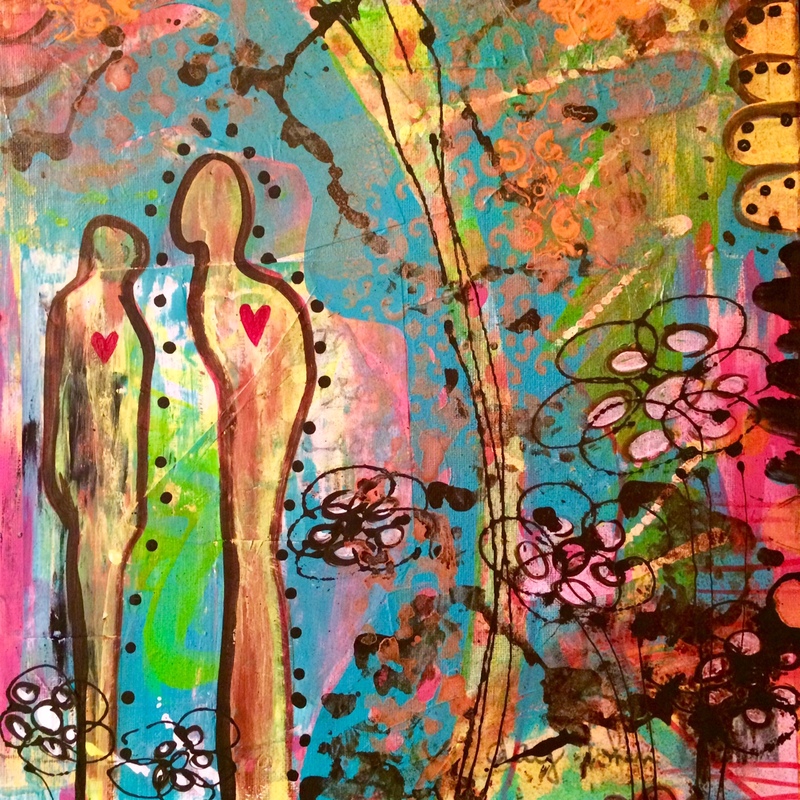 We are all works of art, evolving with the ebb and flow of our interactions with each other. It is my hope that you take time every day to listen to your heart whispers to take the steps to make your dreams a reality. Stay in touch here. My art will soon be available in print, and on home decor and accessories products! Also on the Blog Tour! Remember to share the love!